Japanese manufacturer Fujitsu, today announced a bunch of new products for the Japanese market; one of them is a 6-inch tablet that’s powered by Windows 10. The ARROWS Tab V567/P certainly doesn’t have an appealing name, but it might be an appealing product. The tablet, with a 6-inch- screen, is running Windows 10 – that’s not Windows 10 Mobile, but the actual Windows 10. 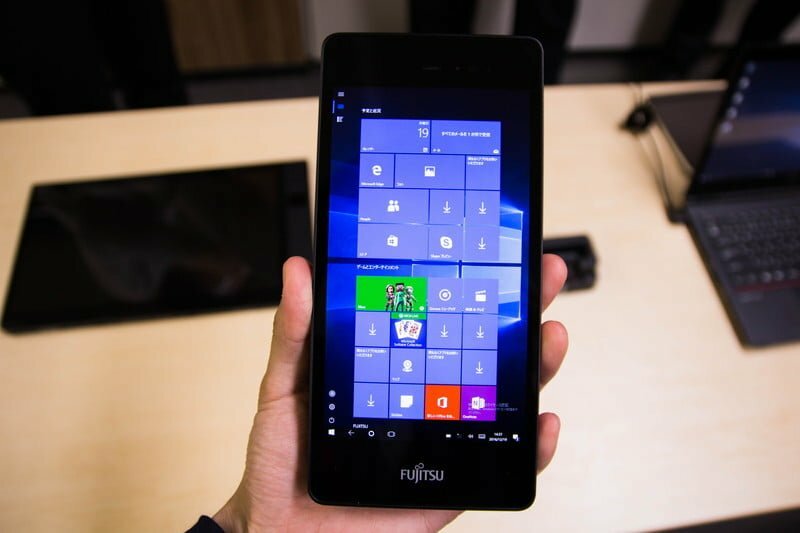 Fujitsu has managed to make this tablet weigh a mere 280 grams, and that’s quite remarkable; the thickness, however, is 15.9mm, which is quite a lot. The reason for that thickness, however, is the PC inside this tiny device. There’s an Intel Atom x5 – Z 8550 quad-core processor clocked at 1.44 GHz on the inside, with the Turbo Boost going as high as 2.4 GHz. Accompanying the processor is 4 GB of LPDDR3 memory and 64 GB of eMMC storage. The 6-inch display is Full HD with a 1080p resolution – the pixels for which, are pushed by the integrated Intel HD Graphics 4000. There’s also an eight-megapixel camera on the back, but none on the front. The front, however, has speaker and microphone in the same place as a phone would, allowing you to use the tablet to make a Skype call, for example. Fujitsu is also using USB-C as it should be; there’s a single port, but it can be used to charge the device or output a video stream to an external monitor. Additionally, there’s also a microSD slot, a swipe fingerprint reader, a 3.5mm jack, and a lanyard hole. The tablet is running Windows 10 Pro 64 bit to be exact, but there’s one problem. The official hardware requirements for Windows 10 demand – at the least – a 7-inch screen; if manufacturers want to use a screen size smaller than 9-inch, they should rather have a look at Windows 10 Mobile. 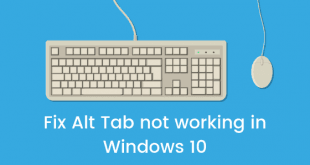 Windows 10’s user experience, therefore, is designed with a 7-inch in mind. A 6-inch display might make the touchscreen too hard to use. One can only hope that Fujitsu has taken these problems into account. The launch of ARROWS Tab V567/P is accompanied by eighteen other products; these products include nine laptops, one desktop, four workstations, and three other tablets. The three other tablets seem to be variations of this one – but things are not very clear. The ARROWS Tab V567/P starts at ¥151,800 – that’s about $1337; Fujitsu expects the tablet to be available on retail shelves by mid-January. That probably means it should be in Japanese stores any day now. There is no word about a global launch, but the possibility seems unlikely.